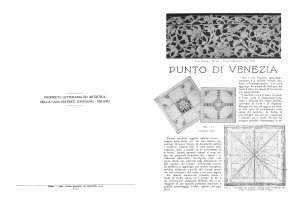 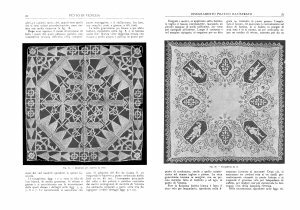 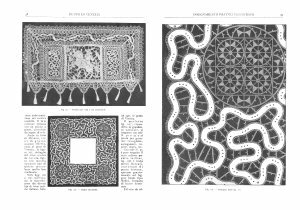 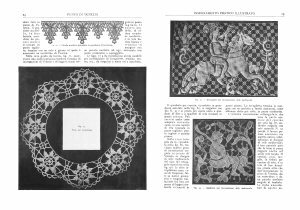 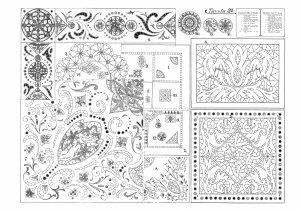 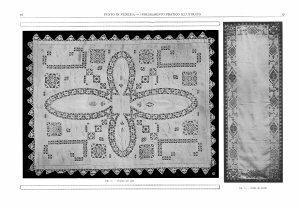 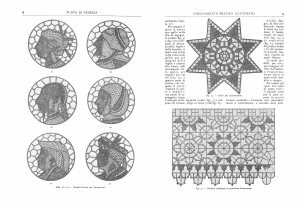 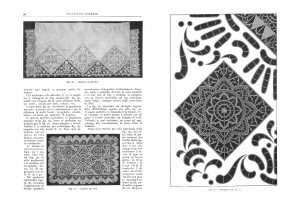 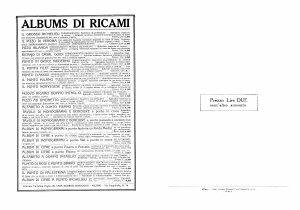 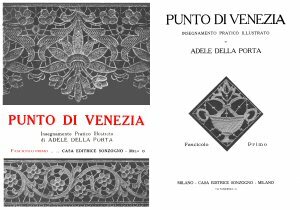 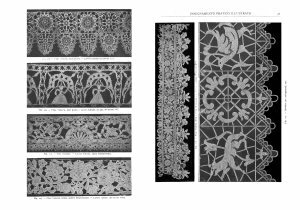 Italian language manual on Venetian needle lace. 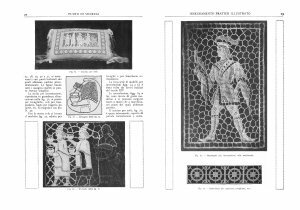 from a series of unfortunately very rare books. 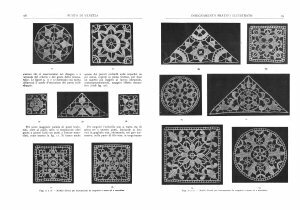 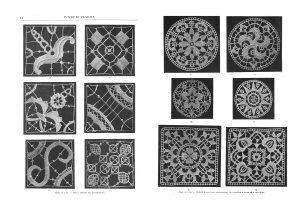 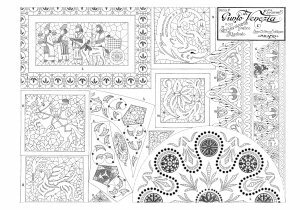 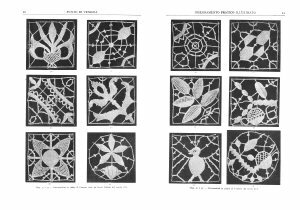 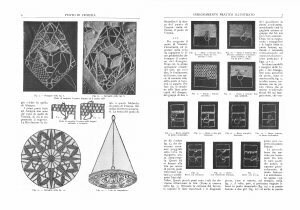 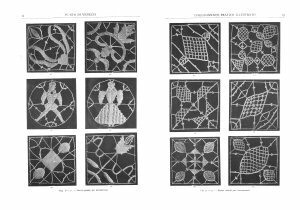 Photos illustrate techniques and working methods for simple geometric and complex figural motifs for the style, directly descended from Renaissance needle laces. 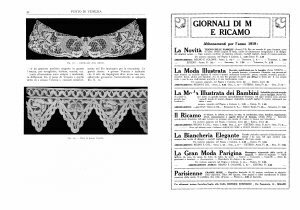 Later derivative styles including tape laces are also covered. 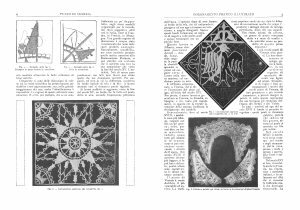 Scans donated by Iva Innocenti, edited by Yvonne DeBandi.